Headquarters :-Washington County, Oregon, U.S.
Friends, today we know a Nike in the context of Footwear all over the world, which is a multinational company in America, and it is the world's largest maker of athletic shoes. Apart from this, it makes some more stuff like sports, such as - T-shirts, jackets, cap, and many things like glasses. 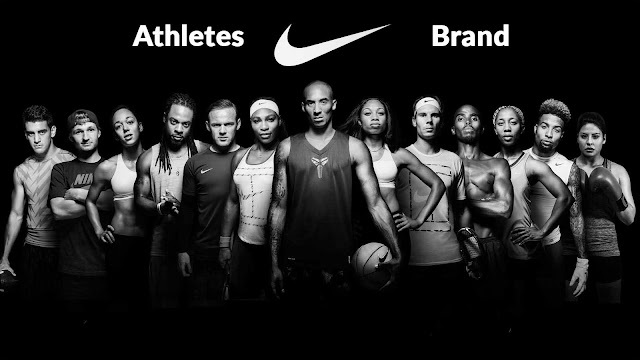 This is the reason that Nike is the most valuable brand of sports business. Friends, probably very few people would know that the Nike company had started with the name "Blue Ribbon Sports", and its shoes were first started selling by car. On May 30, 1971, the name of the company was officially changed from Blue Ribbon Sports to Nike, which was placed above the name of a goddess of Greece. And its (LOGO) was designed by a graphic designer named Carolyn, and this trick mark logo soon became the identity of Nike. Nike is also the official kit sponsor of the Indian cricket team since 2005. The slogan was coined in 1988 at an advertising agency meeting. The founder of Wieden + Kennedy agency, Dan Wieden credits the inspiration for his "Just Do It" Nike slogan to Gary Gilmore's last words: "Let's do it." World's leading athletic apparel maker has increased its revenue to $24 billion from$16 billion over the past five years while its share of the footwear market rose from 14% to 19% during the same period.